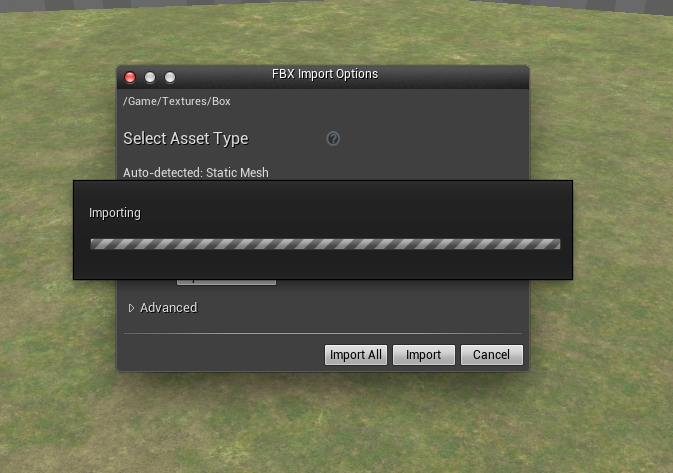 After selecting an FBX to import, the progress window is still visible and floats above the import options window. Thanks for the report! We already have this bug in our database (TTP# 343577), and our developers are looking into possible solutions now. For now, you'll need to move the Import Options window to enter any information and accept. Thanks again! This has been fixed in the main branch and will make it into a future release. Not sure which one yet - it might make it into 4.5, but could be deferred until 4.6.